The lovable Mater is back this week and you can save $5 on the Blu-ray combo pack! 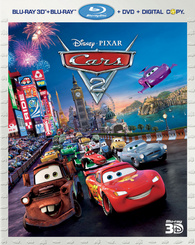 Disney Movie Rewards is now offering a coupon to save $5 on 'Cars 2 - 3D' Blu-ray available this week! This coupon is valid in the United States and Canada only and the offer expires November 6.